Samsung has already brought the much-loved Blue Coral hue from the now-dead Galaxy Note7 to the Galaxy S7 edge, but that apparently wasn't the last new color version we'll see this year for one of its flagships. 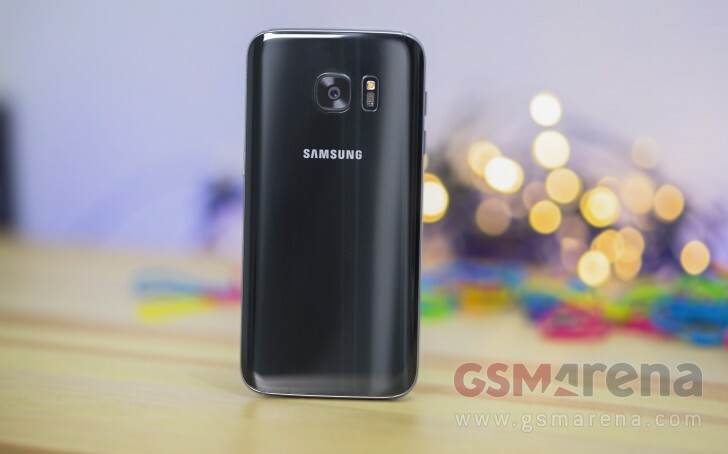 According to a new report from Samsung's home country of South Korea, a glossy black Galaxy S7 should be out in early December. The information allegedly comes from certain unnamed "industry sources". In case you're wondering - yes, this will be glossier in appearance than the black Galaxy S7 version that's already out. It's also very likely that this has a lot to do with how successful Apple's glossy Jet Black hue for the iPhone 7 and 7 Plus has proven to be. Samsung is also looking to capitalize on new color launches for the S7 line, hoping it can milk some more sales from such moves, since it had to cancel the Note7 and that has clearly hurt its bottom line. What isn't yet clear is whether the glossy black Galaxy S7 will be launched globally, or if it will be limited to select markets. If this rumor pans out however, we're bound to find out soon enough.